What a tender world that would be. In the BBC’s Sherlock, Sherlock Holmes does have a heart to burn. Though you couldn’t blame most people from thinking otherwise. But the episode A Scandal in Belgravia has a moment–a slight moment–of tenderness. 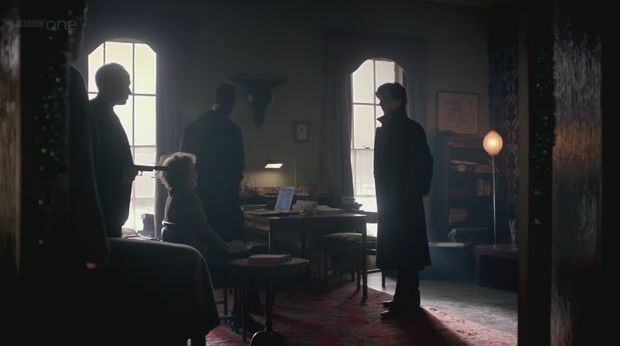 Sherlock comes home to 221B Baker Street to find Mrs. Hudson held by hired thugs. It’s obvious she’s been dragged and hit. Sherlock looks at her bruise wrist, the tear in her sweater, and cut on her cheek. He quickly outsmarts the bad guys and gets his revenge, but the scene is beautifully played. It isn’t a wild fist fight. That Sherlock is upset over the treatment of Mrs. Hudson is obvious but not mentioned. I thought it a moment of perfect storytelling. You should watch it if you haven’t yet. Keep hearing writers raving about this show. Must watch. (Writing note to self to check if it’s available On Demand.) Thanks, Marta! I know the first season is available on Netflix. Watch it somewhere if you get the chance!